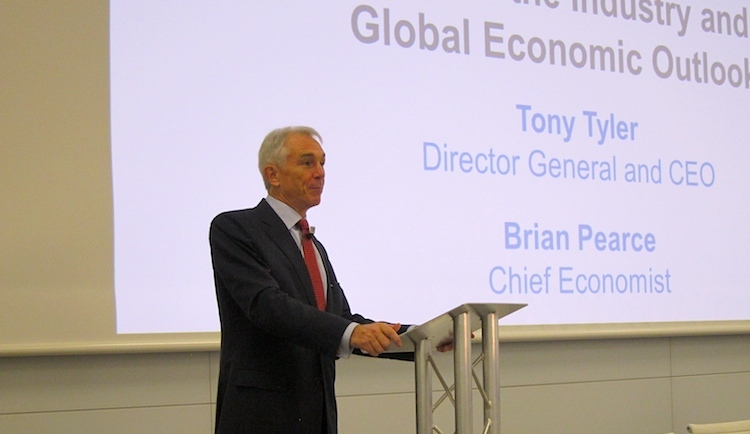 IATA chief executive Tony Tyler. International Air Transport Association (IATA) chief executive Tony Tyler has announced his retirement. The former boss of Cathay Pacific will step down as IATA chief executive and director general in June 2016 after five years in the role, the association said in a statement on August 28. “After five years as director general and CEO of IATA, I believe it will be time for me to retire and leave the organization,” Tyler said in a statement. “It is a great privilege and responsibility to lead IATA, and I am proud of what the IATA team is achieving during my term of office. The current chairman of IATA’s board of governors, Aeromexico chief executive Andres Conesa, said Tyler’s successor would be appointed at the association’s annual general meeting in Dublin in June 2016. “Tony Tyler is a very effective leader of IATA, who is achieving much in his role as Director General and CEO. I regret that he will be leaving the association, but respect his decision to retire next year after a long and successful career in aviation,” Conesa said. IATA has about 260 member airlines and represents roughly 83 per cent of global air traffic.